WASHINGTON — The U.S. Department of State has announced its annual designation of “Countries of Particular Concern” (CPC) based on observance of ongoing violations of religious freedom. “In far too many places around the globe, people continue to be persecuted, unjustly prosecuted or imprisoned for exercising their right to freedom of religion or belief,” spokesperson Heather Nauert said in a statement on Thursday. The International Religious Freedom Act of 1998 requires the U.S. secretary of state to name each year the countries that have been the most egregious violators of religious freedom. Secretary Rex Tillerson has decided to re-designate from the year prior the countries of Burma, China, Eritrea, Iran, North Korea, Sudan, Saudi Arabia, Tajikistan, Turkmenistan and Uzbekistan as CPCs. Pakistan has also been placed on a “special watch list” due to ongoing persecution throughout the past year. 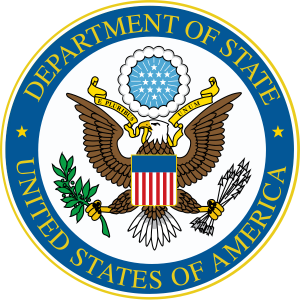 As previously reported, the U.S. Commission on International Religious Freedom (USCIRF) had recommended last April that the Department of State designate 16 countries as CPCs, 10 of which have been cited by the government for years. The six that the Commission sought to be added were the Central African Republic, Nigeria, Pakistan, Russia, Syria and Vietnam. While it applauded the Department of State for again adding the 10 designations to the CPC list, the Commission expressed disappointment that Tillerson only added Pakistan to a watch list, and that the other countries of recommendation were not mentioned at all. “The designation of these countries is a key step in ensuring continued U.S. engagement in support of international religious freedom. Although USCIRF agrees with the 10 countries on the State Department’s list, it does not go far enough. Secretary Tillerson should have also designated the Central African Republic, Nigeria, Pakistan, Russia, Syria, and Vietnam,” Chairman Daniel Mark said in a statement. As previously reported, the Commission outlined in its 2017 report it is illegal in Pakistan to defile the Koran or to blaspheme the Islamic prophet Muhammad. Those who violate the law suffer devastating consequences, such as life imprisonment or the death penalty. While Pakistan did not make it to the State Department’s CPC list this time, most persecution watch groups agree with the U.S. government that countries such as North Korea, Iran and Sudan are among the worst violators of religious freedom. State Department Spokesperson Nauert said that the purpose of naming certain countries of concern is to focus on the work needed to effect change in those nations.